WASHINGTON — The U.S. Senate voted on Dec. 14 to confirm James C. Ho as a judge on the U.S. Court of Appeals for the Fifth Circuit. Ho is the co-chair of the Appellate and Constitutional Law practice group at the law firm of Gibson Dunn & Crutcher. He has presented over 45 oral arguments in federal and state courts nationwide, including 16 arguments before the Fifth Circuit. He has argued and won cases before both the U.S. Supreme Court and the entire Fifth Circuit en banc. 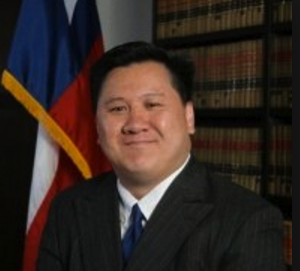 Throughout Ho’s career, he has had extensive experience in all three branches of government: as former chief counsel for Sen. John Cornyn (R-Texas), as an appointee at the U.S. Department of Justice, and as a law clerk for Justice Clarence Thomas of the U.S. Supreme Court and Judge Jerry E. Smith of the U.S. Court of Appeals for the Fifth Circuit. Most recently, he was the first Asian Pacific American ever appointed to serve as the solicitor general of Texas, the state’s chief appellate and Supreme Court litigator. Ho is an active member of the Asian Pacific American community. He is co-chair of the NAPABA Judiciary & Executive Nominations & Appointments Committee, and he has written and spoken on numerous occasions about the role of Asian Pacific Americans in the law.